You don’t need a mountain of market research to discover that most people dislike the process of buying a new car. Haggling on price and trade-in value, discussing financial packages and extended warranty plans, and waiting while “I check with the manager,” often turns the joy of buying a new car into the bitter resentment of what it takes to close a deal. If ever there were a brand experience that could be universally improved, new car buying would have to be it. Yet, very few automotive brands have been willing to significantly alter the car buying process, in part, no doubt, because their dealerships generate so much of their profits using the existing system. Enter Lexus, a leading luxury car brand, with some of the highest customer experience ratings in the industry already, but with a small slice of the luxury car market compared to BMW or Mercedes. About a year ago, Toyota’s premium car brand introduced Lexus Plus, which is a new process to purchase its vehicles where car buyers deal with one person only and prices are set—no negotiation required, no checking with the manager. The Lexus Plus concept also applies to service visits, where one service manager handles a customer from start to finish. Among major automotive brands, only Saturn was able to sustain a no-haggle approach to new car buying. During its early success with the concept, some dealers for other brands adopted it, but with Saturn gone, the prevailing model is the one consumers continue to hate. So, how is Lexus Plus doing? Depends on whom you ask. A year after its introduction, only 13 Lexus dealers out of 237 have adopted the program. Lexus wants us to believe they’re OK with a gradual rollout. It’s hard to tell at this point what Mr. Kitzens is inferring about those who “may not fit into the Lexus Plus process.” Will those dealerships be allowed to continue with business as usual or be forced to convert to the new system? 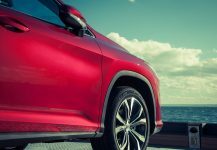 Because Lexus, like most automotive brands, doesn’t own its dealerships, it can be complicated to proclaim the widespread changes that Lexus Plus requires. The majority of its dealerships appear to be waiting to see the results of Lexus Plus in beta form before making the substantial changes it would require. All of which is evidence of how difficult it can be to change a brand experience for the better. Lexus clearly sees how to improve it for the consumer. Yet, its partners in the process—its dealers—seem to prefer higher profits over better customer satisfaction ratings. For Lexus, the obstacle to changing the car buying brand experience appears to be convincing its own dealership network what’s best for the brand will also be good for their bottom line.